Almost everyone has twisted their ankle at some in their life; in fact, it is one of the most common reasons for people to visit an emergency department. 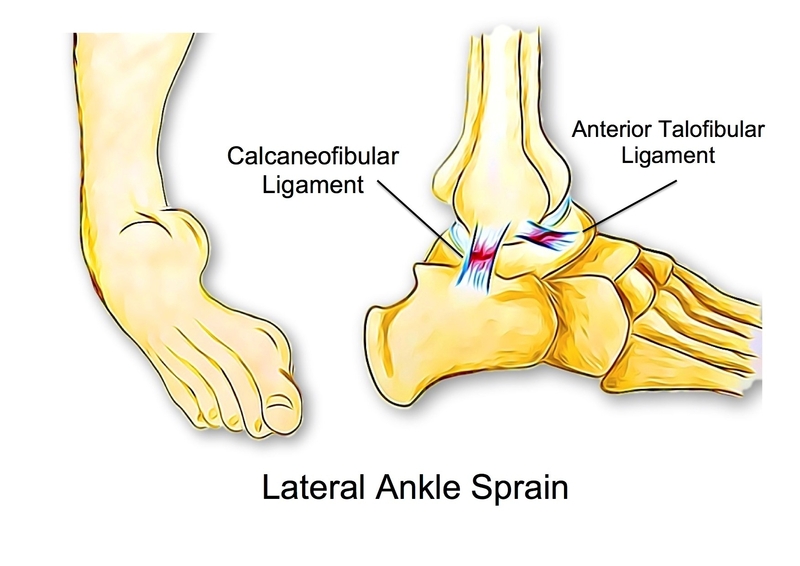 Technically an ankle sprain has occurred when an ankle twists, causing damage to one of it’s supporting ligaments. The ligaments can be overstretched, partially torn or completely ruptured, depending on the force of the injury. The ligament that is most often involved is the ATFL. ATFL stands for the anterior-talofibular ligament, located on the outside of the ankle. While there are many ligaments surrounding and supporting the ankle, this ligament is the most vulnerable as it stops the ankle from rolling inwards. This is the way that most ankles are injured. Athletes who jump while moving in different directions, such as basketball players, are actually the most prone to this injury. They often land on their foot when it is not completely flat, twisting it and injuring the ligaments. Twisted ankles can also cause a fracture of the ankle, not just ligament damage. Oftentimes a bad sprain and a fracture cannot be told apart without proper medical assessment and an X-ray. Your physiotherapist is able to identify if your sprain is severe enough to need further investigation to rule out a fracture. They will also classify the severity of the sprain, providing you with a clear course of treatment. There are many factors that can lead someone to be more prone to fractures, including general hyper flexibility, unsupportive footwear and anatomical structure, however by far the most common reason for an ankle sprain is the existence of a previous sprain without complete rehabilitation. As well as helping you reduce and recover from the pain and swelling of the injury in the early days, your Physiotherapist is trained to identify which issues are likely to affect you in the future and assist you with a personalised rehabilitation programme to ensure your ankle is as strong and stable as possible to prevent future injuries.